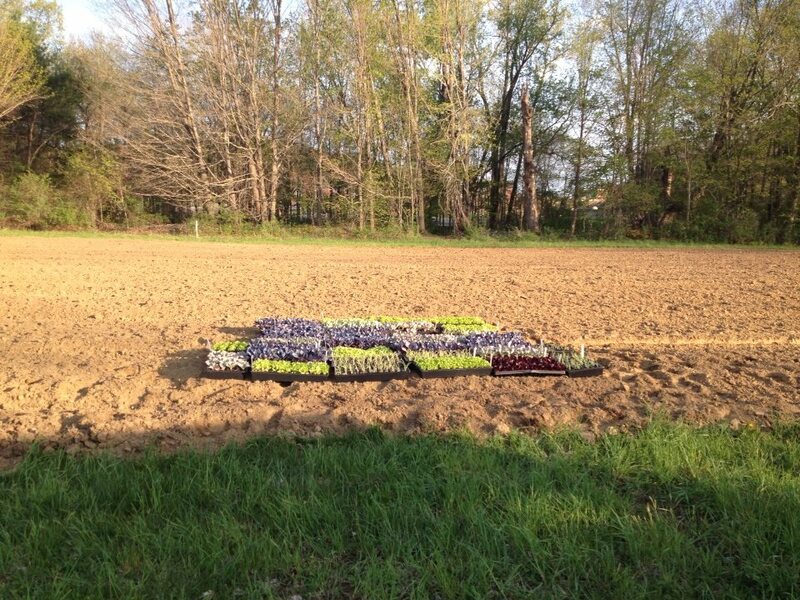 Although spring has taken a while to warm up, we finally broke ground this week and excitedly began planting our transplants at the garden at UMass Agricultural Learning Center, home of our Food For All Garden. With the help of Amanda Brown, Zach, and other Ag Learning Center staff,Cate Elliott and Sarah Berquist began by planting 1000s of little onions in our 3/4 acre space. Grateful for a warm sunny evening, we stayed until the sun went down talking about our biggest hopes and goals for the season. The garden will be a beautiful mix of highly productive space, but also inviting and space to relax and enjoy the summer sun, a picnic, or a book! After a delicious lunch yesterday at the Amherst Survival Center, we can’t wait to load them up with fresh organic food for their daily lunches and food distribution. Want to get your hands dirty and have some fun in the sun with us? Our VOLUNTEER HOURS are Tuesdays and Thursdays 9-12 and Wednesdays 11-2. We’ll be planting lots of sweet baby plants next week so come and join the fun! Please contact Cate or Sarah with any questions: food4allamherst@gmail.com. STAY TUNED for some fun upcoming events and workshops.